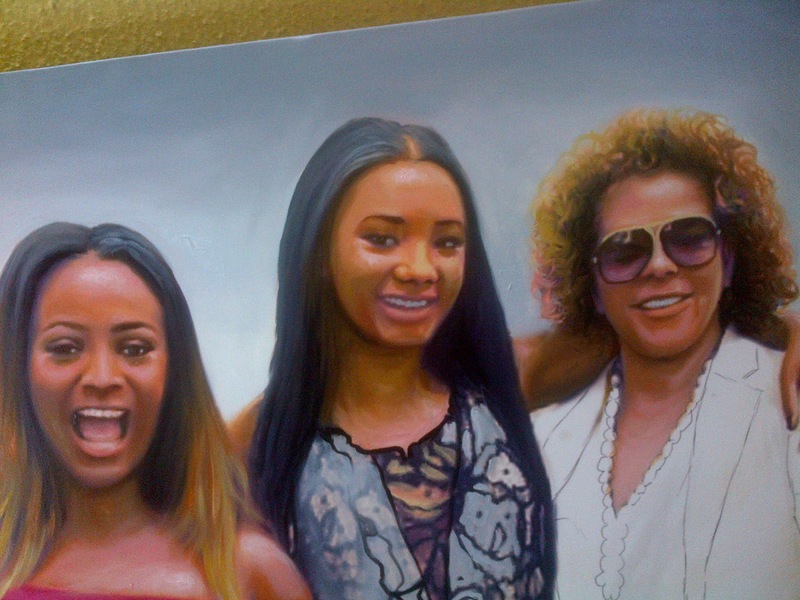 Femi Otedola and family portrait painting by Nigerian Artist Ayeola Ayodeji Abiodun Awizzy. 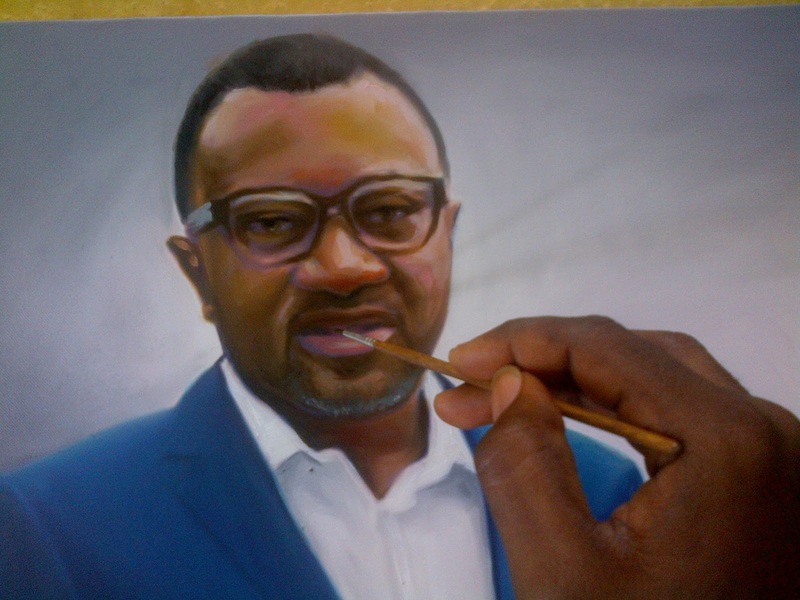 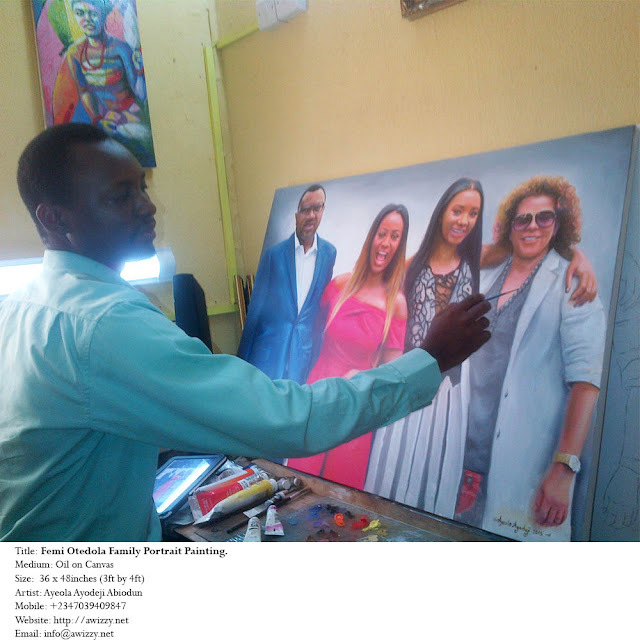 Mr Femi Otedola Portrait painting in the making. 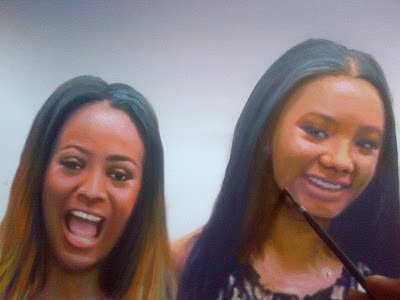 Djcuppy and Temi Otedola in a family portrait painting by ayeola ayodeji abiodun. 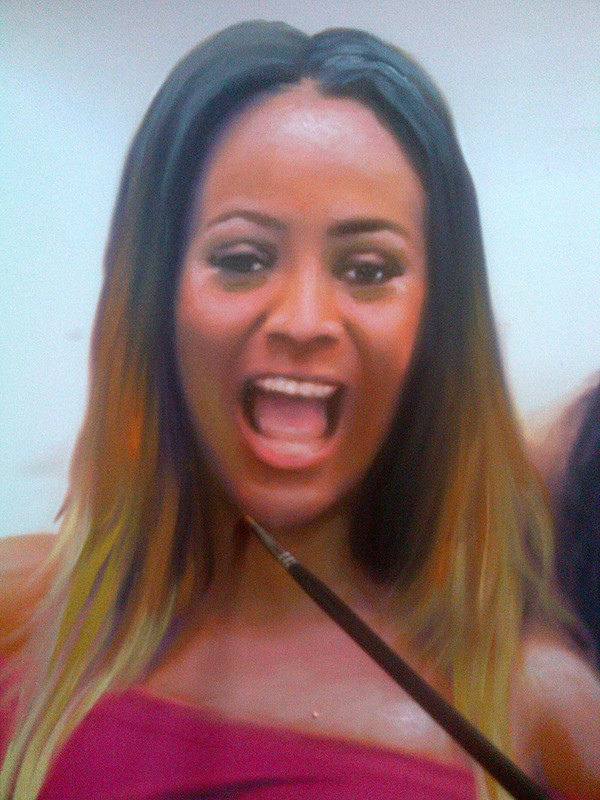 DJcuppy Ifeoluwa florence Otedola portrait painting in the making by Artist Ayeola Ayodeji. 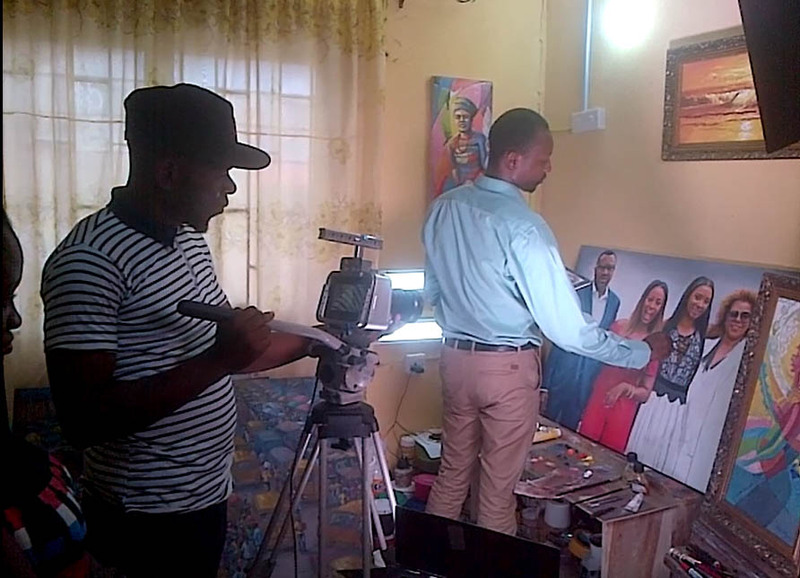 SPICE TV crew with the Artist Ayeola Ayodeji during the portrait painting shooting session of Family portrait painting art of Femi Otedola. Showing on DSTV channel 192 on sunday 11th od October 2015 9:30am. 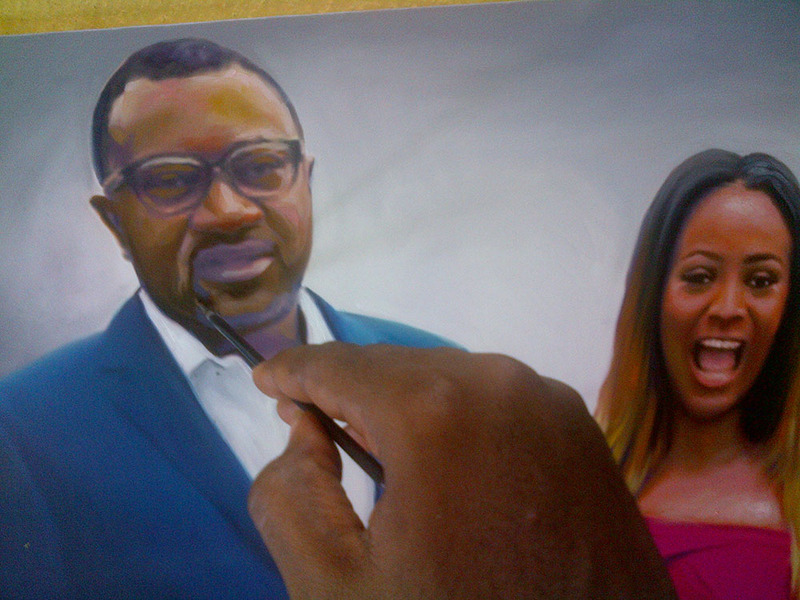 Femi Otedola is the billionaire owner of multi-billion naira indigenous oil giant Zenon. 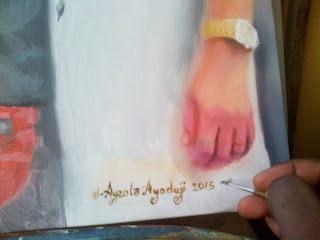 Zenon, which is directly ran by Otedola is the dominant force in diesel business among oil marketing concerns. 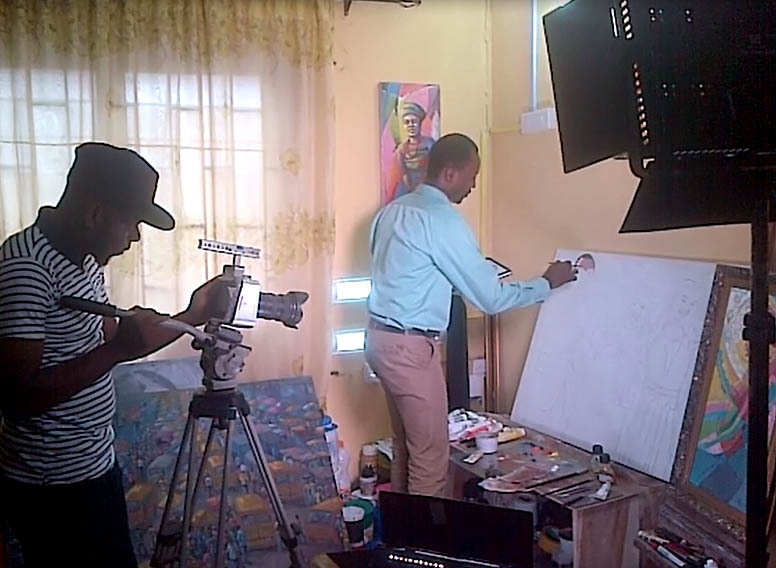 It supplies this all important fuel used to power the generating sets of most Nigerian industries to nearly all the major manufacturing firms in the country. These include Dangote Group, Cadbury, Coca Cola, Nigerian Breweries, MTN, Unilever, Nestle, Guinness among others.